When a company with a reputation for producing the highest quality mountain gear decides to turn its attention to trail running gear I was all ears. Especially as I have been on a long search for a quality running jacket for some time. So Ultra168 was very excited to be approached by Canadian company Arc’teryx to test their Endorphin range of trail running gear. Some of you will have dreamed about owning an item of ski, boarding and hiking gear from the company with the strange name and even stranger logo and so we are excited they bring their hunger for quality to the trails. With the arrival of a box of very brightly coloured gear the first thing I dug deep for was their waterproof jacket. The Visio FL has quickly become my favourite piece of clothing over the last month for a number of reasons. Firstly, Sydney’s winter seems to be as wet and as cold as any I have experienced, secondly, the gear just fits so darn well, and finally and most importantly, looks can only get you so far, but when the elements throw their worst at you and you have to keep going, this gear just works effortlessly in the worst conditions. 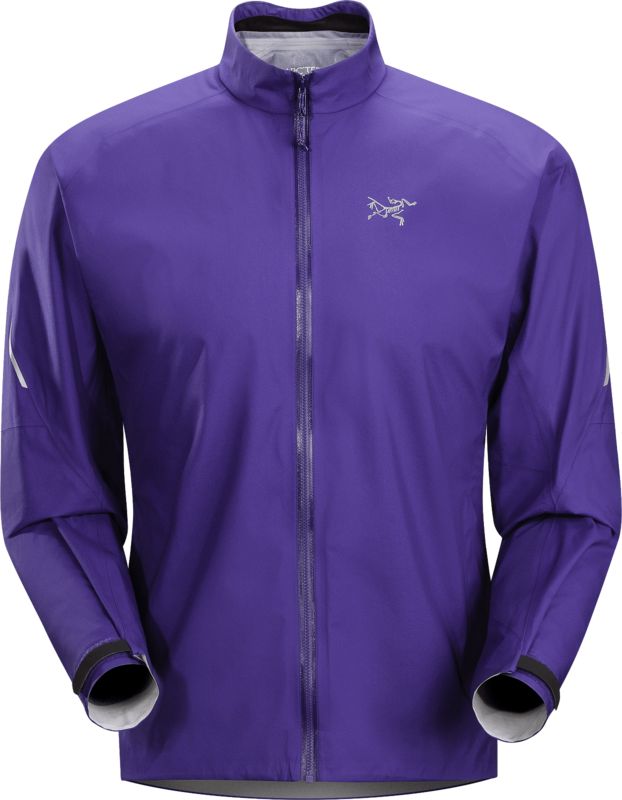 For a while now, we have had a running debate on the best waterproof jacket to have with you when running ultras, especially when mandatory gear list seem to always include them. Do you go with the lightest weight jacket available and ensure is folds down so small it is barely taking up any room but could be pretty useless to actually wear for any length of time, or do you actually carry a jacket with you that if you had to wear it, it would actually keep you dry and still functionmany hours later? I favour a hybrid approach, I am happy to carry a very small minimal jacket to be within the rules, but if the weather is wet, then I need a quality performing jacket that deals with everything the elements throw at you and so I always have the best I can find in my drop bags. This is why I found the Visio FL by Arc’teryx to be pretty much the perfect jacket for this. Firstly, the quality of the build, design and finish is without question the best I have ever seen, not just on sporting apparel but any clothing period ! As with anything in life there are no short-cuts and Arc’teryx have applied this discipline to their products. The seams have been welded and joined with lazer like precision that dont intrude in areas where wear and tear will be highest. In fact, when you turn the jacket inside out, the seems are so well designed and perfectly smooth to touch. 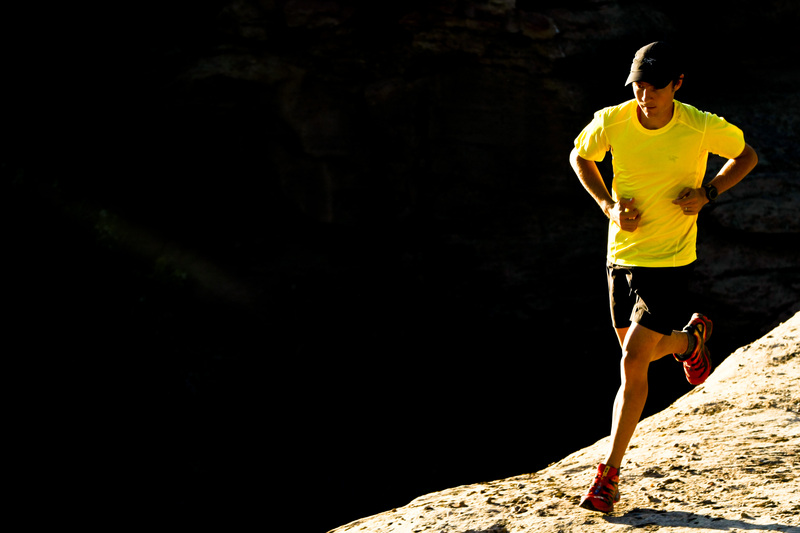 In addition, the fit is ideal for trail runners who need great movement around the shoulders and waist especially when scrambling over rocks and fallen trees but also durable enough to deal with backpacks and waistbelts rubbing across the top of the shoulders and across the back. Another nice touch is the zipper, it is smooth and sealed with a wide backing to ensure the top locks in place with no chance for water to enter. So what is the jacket like to run in when the heavens open ? Well immediately you notice how the rain just beads off the jacket so easily. The jacket uses the latest GORE-TEX® Active Shell textile which delivers the ultimate waterproof protection. On my first workout, I was doing hill repeats on a rough piece of trail near home. 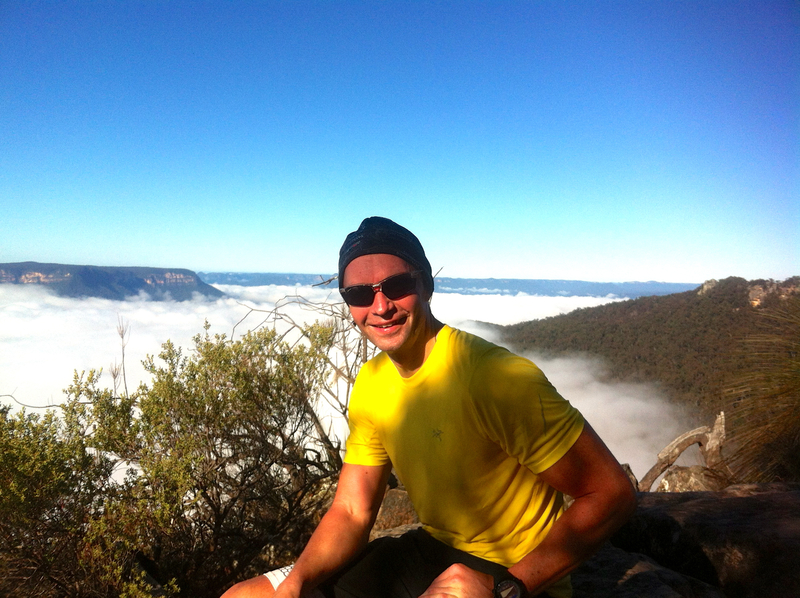 After a few laps of running up and down close to maximum effort aerobically, I have usually worked up quite a sweat. After an hour I was much drier on the inside than my usual and trusty The North Face jacket I have had for several years. Also I noticed that the slim fit also kept the wind out well as I was able to cinch the waist closed and also the velcro wrist straps were wide enough to go over the top of my running gloves. A nice feature of the jacket is the minimal design. The jacket only has one small pocket on the left hand side low down and ideal for keys, cash and your iPhone. Other than that the only other design features you will notice are the anatomically shaped arms (angled upwards slightly to simulate the arm position when running/walking) and a nice little nick at the rear of the colour where the nape of your neck would otherwise rub. They have also added a small degree of lining around the collar to ensure any moisture making its way into the top of the jacket is stopped by this absorbent material. The tail of the jacket is a little longer than the front so it stayed in place when I wore my backpack and at no time did it feel like it would ride up. Even though the material of the jacket feels a little thicker and stiffer than some super lightweight jackets this piece only comes in at 205 grams for a medium size jacket. This jacket has now become one of my most important pieces of kit alongside my trusty backpack and shoes. There is one minor downside that rules this jacket out for some of my races I do and that is because if comes without a hood. I am sure with the release of the new season from Arc’teryx we will be seeing a similar jacket design with the mandatory hood. In addition to the jacket, we were also sent the entire collection from Arc’teryx’s Endorphin range that included shirts, singlets, long sleeve tops and windstoppers. The same attention to detail and unbeatable build quality plays out across the entire range. 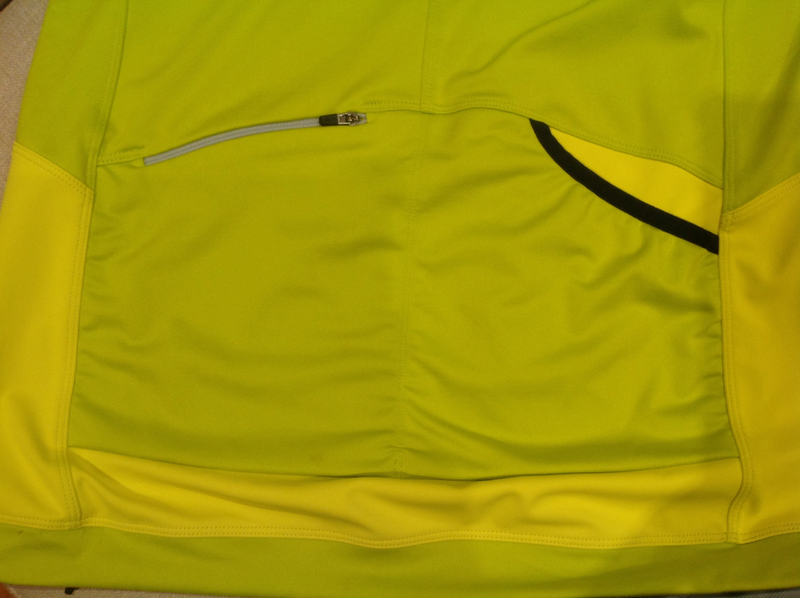 For example, the warmdown tops have a unique set of rear pockets that include a zipper on the left hand side and a couple of lopsided stash pockets on the right side that were perfect for gels, phones, keys and money. All the time the thought that has gone into how far round the back you need to reach has definitely been perfected by the designers who obviously run ! So if you are considering upgrading your current range of gear to new running gear that will last and function then check out the new kid on the block Arc’teryx as its a brand that seems to be investing in the sport in a big way with its recent sponsorship of the SkyRunning World Series bringing its quality-eye coupled with some up and coming athletes including Adam Campbell and Joe Grant who have been lighting up the trail ultra scene recently. 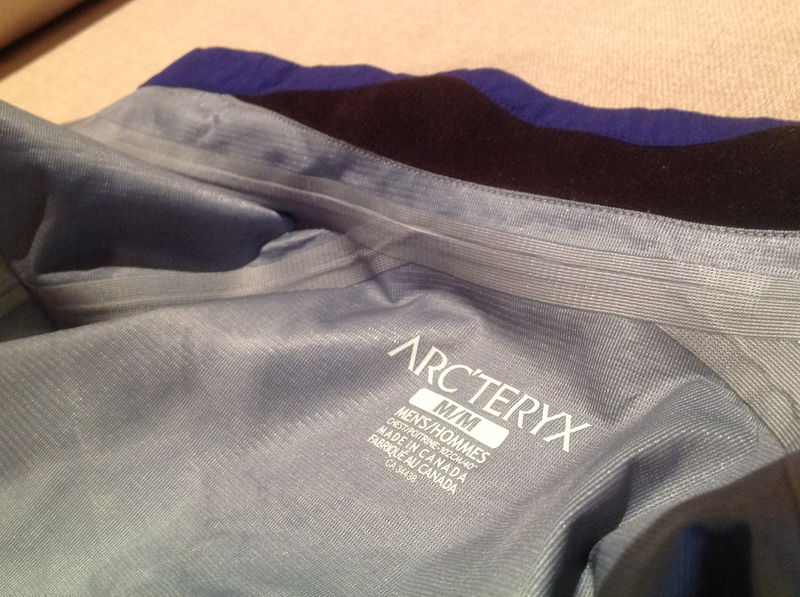 Ultra168 would like to thank the generosity of Arc’teryx for the chance to test their gear. The name and logo of Arc’teryx refer to the Archaeopteryx, the earliest known bird. The logo is based on the “Berlin specimen” of the bird, the most complete skeleton to date. Thanks Marcus for the review. Got one of their double layer Gore-Tex Active Shell jackets a while ago as well and really like it. Looking forward to trial this new range at some stage (once we’re past the 33+C, 98+% humidity summer over here …). Good article Marcus. But the mandatory hood will prevent this one from being in my wardrobe. There are many others out there the same though, all without hoods. Hard to find a great jacket with hood but still be small and lite. Yep, its a shame it doesnt have a hood, but I imagine one is in the pipeline ? To be honest, I never use a hood in training and this jacket is being worn every day at the moment. They look interesting. Where can they be looked at or purchased?